The aroma of salt in the sea breeze, the sound of waves lapping at your feet and the magnificent vistas with unparalleled views of the sound and the ocean, now that’s fine living on the Crystal Coast. Your senses are flooded with the aromas, sounds and sights that make up the Crystal Coast. Natural beauty combined with more amenities than you can imagine and the endless opportunities for rest, relaxation, and fine dining make the Southern Outer Banks irresistible. Ahhhh…wouldn’t it be great if your beach vacation never ended? Imagine if your getaway lasted forever AND you were able to make this vacation and every other one that follows pay for itself? Believe it or not, this dream could be within your reach. Purchasing a vacation home is one of the best ways to turn your love of the Crystal Coast into one of the best (and most fun) investment opportunities of a lifetime. Not only do you get to enjoy your beach retreat whenever you want-avoiding having to plan ahead, book rooms, pay for expensive hotel rooms, or having to sleep on that inflatable mattress. You also have the ability to make real money on your investment. Real money that can actually cover your expenses, pay your mortgage, and even pay for your vacations to this pristine area of the Crystal Coast. Just like you, many other people love the escape that a vacation to the beach affords them. With all the opportunities for outdoor recreation here on the Crystal Coast, it’s no wonder this area is so popular for homeownership or vacation rentals. When you can take advantage of all that this area offers whenever you want AND rent your vacation home to other like-minded people when you’re not there, you are maximizing your fun and your investment. In fact, with so many lifestyle choices and annual celebrations that attract visitors from all over the region and the entire country, your beach vacation home could be an investor’s dream. If you’re considering making an investment in your future and on the Crystal Coast, there are a few things you should think about before beginning. Whether you plan on renting your vacation property for one weekend a month, one week a month, or an entire month, you need to protect yourself with a rental contract. Be sure to contact a professional real estate attorney so you can draw up a rental agreement that keeps you covered no matter what happens. You might not mind that leaky faucet, but when a renter is paying good money to stay in your rental property, they might…especially if it’s drip, drip, dripping all night long! Be prepared for what you’ll need to do to keep your vacation property in tip-top shape. If you can keep it well maintained, you’re sure to attract plenty of repeat visitors. 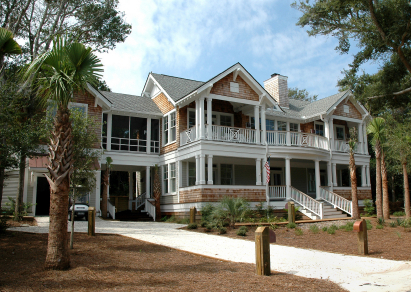 How Often Will You Use Your Crystal Coast Property? As you begin thinking about your place at the beach, realistically consider how often you’ll be able to make it there, how many of you will be “making it there,” and the types of properties you would consider. For example, do you have a particular size, location, or monetary amount you’re looking at investing? If so, these factors will all play into determining which areas in and around Emerald Isle, Salter Path, Pine Knoll Shores and Atlantic Beach you should focus your search. Knowing exactly how much is too much is never more important than when discussing real estate investments. When you chart out how much money you can spend on the purchase price of the home AND how much money you can afford to spend on yearly maintenance, you’ll begin to have an idea of what your potential rate of return on your purchase is. If you are truly looking at this purchase as an investment, be sure to discuss the details of any potential transaction with your financial advisor or tax attorney to make sure the conditions and details of the property/sale meet your financial goals and objectives. When you have decided that a Crystal Coast vacation home is the place for you, it’s time to start looking for the right location. 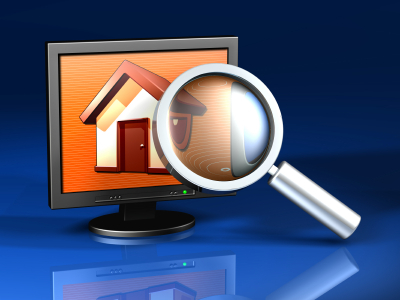 Be sure to consider what’s important to you in the property, amenities, and surrounding areas. Doing online research, consulting with your Crystal Coast real estate agent, and getting out there and driving the roads are great ways to get a handle on what feels right to you. What tips would you add when investing in your Crystal Coast vacation property? Crystal Coast Real Estate Speaking Opportunity! Save on Your Next Emerald Isle Home Purchase! Hi Mary – Because the blog is so new, we choose to focus on the Island communities first. We will be adding more communities very soon including Morehead City and Beaufort. As we write new content for the areas, we will add links and resources where we feel it is appropriate and offers value to site visitors. Thank you so much for your feedback!